Neat stuff! 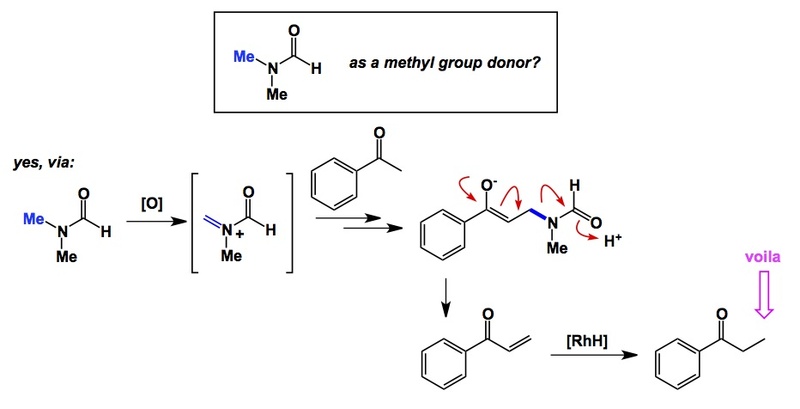 I like how there are conceptual similarities to the classic Vilsmeier–Haack reaction, but by going through a different iminium ion, the authors are able to use DMF as a methyl rather than formyl source. So much versatility from a simple molecule!